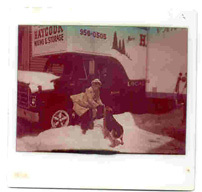 "We're proud to be part of the Haycook family and to serve you, through Harold Haycook Moving & Storage Corp. Five generations have carried on the family tradition of service, and we look forward to the sixth generation! 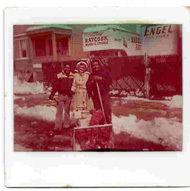 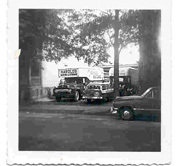 "Our great, great grandfather started this company in the 1880's with a horse and buggy. 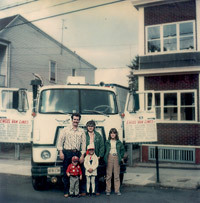 He wanted the customer to feel like 'one of our own' family. 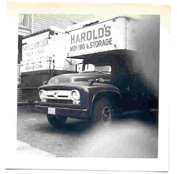 Harold Haycook Moving & Storage Corp. was founded on a personal commitment to customer service. 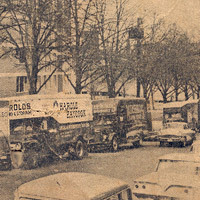 "Throughout the years, the business has been carried on from one generation to the next, still focusing on the goal of your moving-day as least stressful as possible. 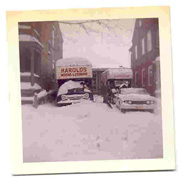 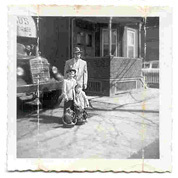 Over the past forty years our father, Harold Haycook, Jr., has run our family business. 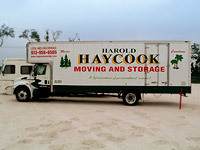 We offer many furniture services from load/unload, packing/unpacking, and white glove delivery."